Colorado Springs, CO —– The American Trail Running Association (ATRA) announces MYLAPS Sports Timing as the newest partner in their Event Standards Program. ATRA introduced its Event Standards Program in 2012, and recently included vendors and suppliers as partners to further assist trail race directors in meeting ATRA’s 15 criteria necessary for staging a safe and well-organized event. “ MYLAPS’ commitment to sports timing and technology provides the ideal fit for ATRA’s Event Standards Program. The obvious connection is accurate race results provided through their timing system. As important is the element of safety inherent in their runner tracking platform,” said Nancy Hobbs, ATRA Executive Director. “We are very pleased to be part of ATRA’s Event Standards Program as the preferred partner for timing and live tracking.,” Bas van Rens, CEO, MYLAPS. “As the world leader in sports timing it is our mission to be the partner of choice for events and to enhance the sport experience for all stakeholders involved. Automated sports timing was invented by the founders of MYLAPS in 1982. Our passion for sports and technology has always been the driving force. We develop products and services for measuring, publishing, analyzing athletes’ race and training results and services to enhance the event experience. Every year, over 20 million racers and athletes perform in MYLAPS-timed contests, from local XTERRA trail run series to prestigious road races like the Boston and Chicago Marathons and everything in between. MYLAPS has a global network of timing partners and six offices strategically located throughout the world. 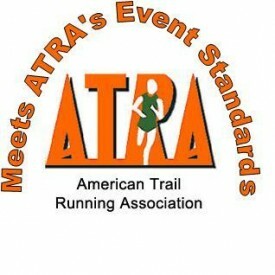 Our US office is based in Atlanta, GA.
To learn more about ATRA and the event standards program, visit www.trailrunner.com. To learn more about MYLAPS, visit www.mylaps.com. MYLAPS joins imATHLETE, Marathon Printing, Inc., and Trail Run Project as partners in the Event Standards Program. An additional partner, Ashworth Awards, will be introduced in a separate release next week.